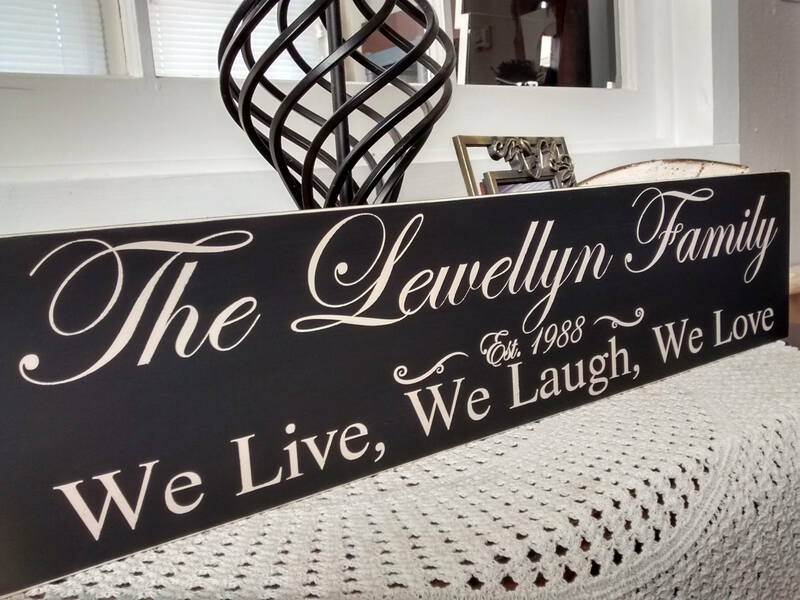 Our family sign is unique to your specifications, we can personalize it for you. When you personalize your sign, we are able to add the family name, first names of a couple, or names of children, etc. The established sign shown, shows a long last name so wow, just think of how many letters you can get on that first line at no additional charge. 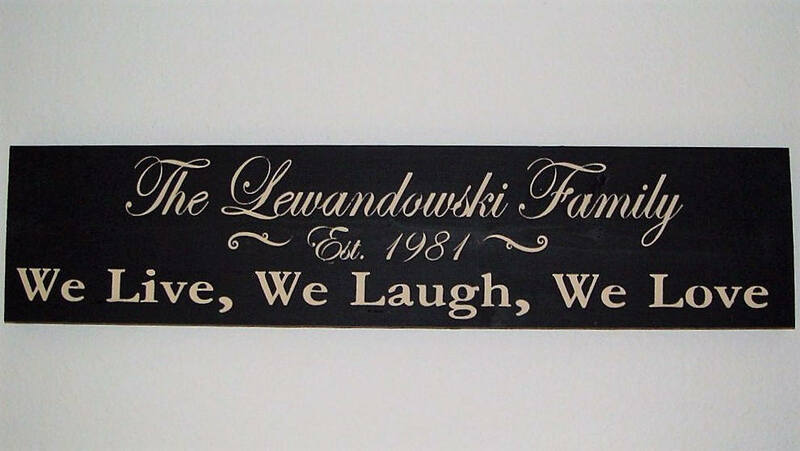 Our Name Sign also features the year established and "we Live, We Laugh, We Love" on the bottom line. We DO NOT use vinyl stickers on our signs, you can expect the lettering to last and remain beautiful as they are hand painted. Sign measures 5.5" x 24", are made from solid wood not a man made material, they are ready to hang with a sawtooth hanger attached. We do not paint the back of our signs so we can pass the savings on to you. Absolutely love the wood sign!! Wedding gift from fiance and I to my parents and they are going to love it!! Beautiful work and excellent seller!! Thank you so much!! 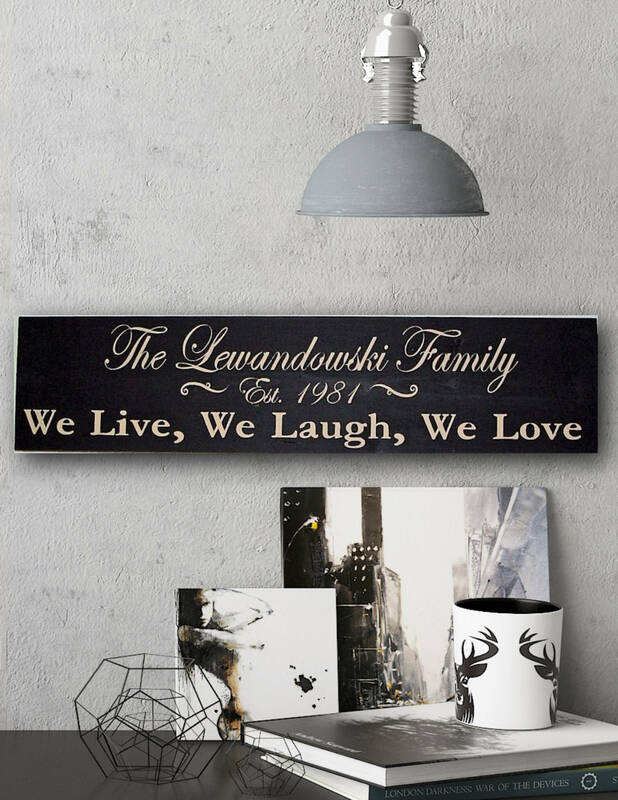 Will look great in our house. Love it!